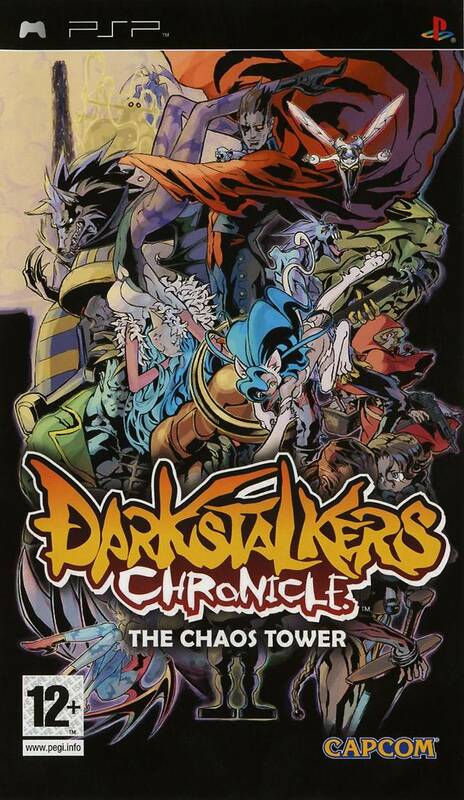 Darkstalkers Chronicle: The Chaos Tower is a collection of all five Darkstalkers games for the PSP. It is technically a re-release of the once Japan exclusive Vampire Chronicle for Matching Service which is a mash up of all the Darkstalkers games allowing players to choose from various versions of the characters from the different games. Darkstalkers is a 2D fighting game from Capcom's glory days in the arcades starting from 1994. A diverse cast of characters based on famous B-movie monster tropes combined with mechanics such as Dark Force have made the Darkstalkers games classics in the genre. This particular Darkstalkers game may be hard to get working on a PSP emulator due to an error that prevents character sprites from appearing so if push comes to shove, you may want to simply get the individual games for different emulators. Now you can add videos, screenshots, or other images (cover scans, disc scans, etc.) for Darkstalkers Chronicle - The Chaos Tower (Europe) to Emuparadise. Do it now! If you haven't noticed yet, we have a retro game of the day feature (top-right of the screen) wherein we feature a new retro title every single day! Now, you can vote for your favorite games and allow them to have their moment of glory. 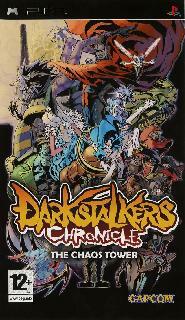 Click on the button below to nominate Darkstalkers Chronicle - The Chaos Tower (Europe) for Retro Game of the Day.